Thandi Shongwe, former speaker of the legislature, spent almost R50 000 during the festive season. The Mpumalanga provincial legislature has defended its decision to splurge almost R50 000 of taxpayers’ money on former Speaker, Thandi Shongwe’s unexplained stay at a luxurious hotel during the 2015-2016 festive season. Spokesperson for the Legislature, Zama Memela-Gamede, confirmed that they paid R11 356.80 for the three days stay on 19 to 22 December 2015, and R36 080.40 from 24 December 2015 to 2 January 2016 at the Southern Sun Pretoria. She refuted claims that Shongwe spent the holiday season at the hotel while attending a pilgrimage by “miracle” pastor Shepherd Bushiri. 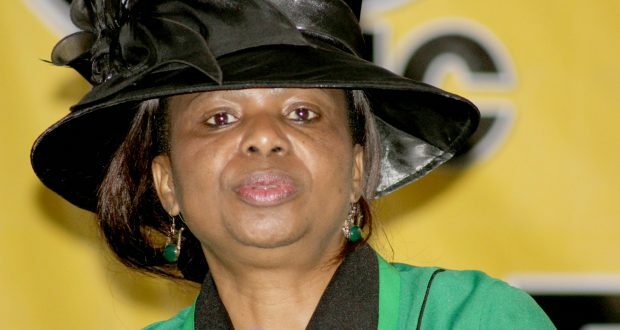 A source who was close to the former speaker and who spoke on condition of anonymity, however, insisted that the legislature paid for Shongwe knowingly that she was attending to matters of her church in Pretoria and also attended a church service which took place at the FNB stadium near Soweto. “If they deny it, ask them which legislature was open on Christmas Day and New Year’s Day or whether the Gauteng Legislature was aware of her legislature work in their province. If an independent body can do an investigation, it will reveal who is telling the truth,” said the source. A member of the legislature who serves in the legislature’s programming committee said that the programme of the legislature ends around 16 December every year. “I do not recall the programming committee approving a programme that starts on 24 December and end on 2 January the following year. Members of the legislature work hard throughout the year and they value the little opportunity they get to be with their families during the festive season, besides, we do not do constituency work in other provinces,” said the MPL who agreed to speak on condition of anonymity. He also refuted Memela-Gamede’s claim that the programme of the legislature is not for publication. “That’s ridiculous. We are public representatives and our programme is public information. You can go to the legislature website even now and you will find the programme of the legislature,” said the MPL. Indeed, the legislature’s website did publish an outdated 2017 programme on its website. What’s noteworthy though is that the legislature constituency period ends on 15 December. From there it’s written “Leave Period” from 18 December 2017 until January 2018. An investigation by Ziwaphi also discovered that during the period that Shongwe spent at the hotel, Bushiri’s church had a pilgrimage called Crossover at the FNB stadium which was attended by thousands of his supporters. Shongwe is believed to be a high ranking member of the Pretoria based Bushiri’s church – a church which attracts thousands of South Africans who believe in the Malawian pastor’s “miracles”. It also has a television channels which showcases the “miracles” such as using an iPad tablet to take pictures of secret lovers and children born of extra-marital affairs. Last year Shongwe donated a brand new luxurious Mercedes Benz to Bushiri’s son, Wiseman during a church ceremony in Mbombela. She and legislature secretary, Linda Mwale, are the leading members of the Mbombela chapter of the “miracle” church. Shongwe, who has since been removed from the legislature and shifted to the department of culture, sports and recreation, declined to comment and directed all enquiries to the legislature. “The department acknowledges receipt of your media enquiry. The enquiry has been referred to MEC BT Shongwe’s previous institution for further processing,” said culture, sports and recreation spokesperson, Sibongile Nkosi. Shongwe’s taste for good things in life is nothing new. In 2016 the legislature bought her a R1,5 million luxurious Mercedes SUV even though she did not qualify for the vehicle. This was barely 15 months after the legislature had bought a similar vehicle in 2014. The legislature justified the purchase by claiming that the vehicle that had been bought in 2014 was no longer safe to drive after it had been involved in an accident. The panel beaters who fixed the vehicle, however, refuted the claims and said that the legislature did not have the competency to declare a vehicle unsafe. The legislature has repeatedly failed to release the report which declared the vehicle unsafe to use and has even ignored the Promotion of Access to Information Act (PAIA) application to disclose the information.